Erase from your mind everything you know about clowns. My vision of a clown is no longer surrounded by a large tent full of people at a three-ring circus. This past weekend I had the amazing experience of attending clown "skool" and performing as a clown. Charlie's Chaplains is a nonprofit group of dedicated volunteers sharing the heartfelt mission of helping Frye Regional Medical Center patients feel better through cheerful spirits, lightening hearts and brightening patients’ days with a gentle presence through creative ministry. These clowns and creative arts performers have been going strong since 1991 in Hickory, North Carolina. I had the privilege of participating in their annual training event on Saturday and making rounds with them at the hospital on Sunday. Yes, that is me in the middle of the above photo. I will be writing about my experience in future posts, but in the meantime I thought you might like to see some of the pictures I captured during my visit. 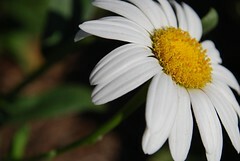 To view the photos go to http://flickr.com/photos/rogercarr/sets/72157607564592134/ or click on the below photo badge. This is a Flickr badge showing items in a set called Clown Skool '08 & Hospital Visit. Make your own badge here. The Serve America Act was unveiled at the ServiceNation Summit. This legislation has been introduced to Congress by Senators Edward Kennedy and Orrin Hatch to expand and improve domestic and international service opportunities for all Americans. What is the Purpose of the Serve America Act? The Serve America Act has a two-fold purpose. First, it will expand opportunities to serve for people of all ages. Second, it will use service to help solve the nation's most pressing challenges. How will the Serve America Act Make this Happen? It establishes new, effective "corps" focused on areas of national needs and ask 175,000 Americans to give a year of service to these corps. It will increase the number of opportunities to serve for people of all ages. It will support the role social entrepreneurs play in solving our national challenges through studies and funding of innovation in the nonprofit sector. It will improve and expand America's service reach throughout the world by expanding the Peace Corps and establishing a new program coordinating shorter-term international service opportunities. There are already many Senators who have signed up as co-sponsors of this bill. Are your Senators on that list? Is the National Day of Action on Your Calendar? It's not too late to get involved in a service project on the national Day of Action. This Saturday, September 27th, is the national Day of Action. Join thousands of Americans on that day participating in events that will demonstrate the power, potential and impact service can have. I will be training and volunteering all weekend in North Carolina. Over 2600 events have already been registered with ServiceNation. Go to http://events.servicenation.org to discover events in your area. In Miami, Florida, volunteers will rally to clean up the beaches of Pelican Harbor Island, a critical pelican rookery and habitat. In Salt Lake, Utah, volunteers will help the Community Food Co-op distribute food to more than 6,000 residents. In Topeka, Kansas, volunteers will spend the day reading to kids at the public library. Show your support for community and volunteering. Give your time on Saturday to celebrating the national Day of Action. On 9/11-12 in New York City, I attended the ServiceNation Summit. I wish you could have been there with me. It was inspiring to hear top leaders speak about the value of service and the need for more. What Was the ServiceNation Summit? The ServiceNation Summit brought together more than 600 leaders of all ages and from all sectors of American life to discuss the power volunteer and national service can bring to addressing America's greatest social challenges. Who spoke at the ServiceNation Summit? 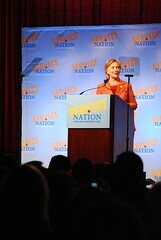 The ServiceNation Summit started on 9/11 at Columbia University with a Presidential Candidate Forum. 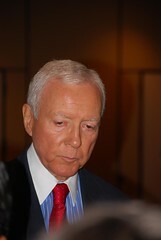 Both Senators John McCain and Barack Obama answered questions on the topic of service. Click here for the complete ServiceNation Summit program. What was Learned at the ServiceNation Summit? There is a tremendous amount of support for expanding service in the US to help address social issues. There are new bills that have been introduced into Congress to increase service opportunities. The Serve America Act has the support of key leaders and politicians. Both Presidential candidates, John McCain and Barack Obama are in support of expanding service and believe it is critical for the future of our nation. There are several ways we can get involved in the ServiceNation movement. Check out this link on the Time Magazine's site. It's a list of 21 ways we can serve America. Some great thoughts here. ServiceNation is a national campaign calling for the next President and Congress, leaders and citizens to create a new era of working together to solve our greatest and most persistent societal challenges. Obviously, this is a huge calling. Will the ServiceNation movement be able to get the attention of those who can make it possible? The answer is an amazing yes! This week, on September 11-12 in New York City, the ServiceNation Summit 2008 will be held. Presidential candidates, Senator John McCain and Senator Barak Obama, will participate in a Presidential Forum on Service. The remainder of the summit is packed with sessions focused on key topics related to national and community service. The participant list currently includes 700 of the top change leaders. I am honored and excited to have received an invitation to attend this ServiceNation Summit and blog about my experience and thoughts. What questions on the topic of service do you want answered by top leaders at the ServiceNation Summit? If I have the opportunity to ask your questions, I will share the answers with you as well. Go to http://www.bethechangeinc.org/servicenation to learn more about the ServiceNation movement and how you can get involved. On September 7, Convoy of Hope took over the parking lot outside of RFK Stadium in Washington DC to provide food and services to the local families in need. The event included a kids play area, live entertainment, lunch, haircuts, manicures, portraits, medical screenings, a job fair, prayer, groceries and more. I had the privilege of being a volunteer at the event. It was fun work. I enjoyed the enthusiasm of the volunteers and even made some new friends. Donating a few hours of my time was all it took to be a part of helping 10,000 people! It was well worth it. 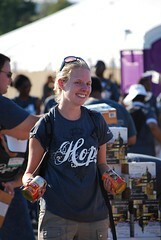 Go to http://convoydc.org to learn more about the Convoy of Hope event that took place in Washington DC. Note: You can also check out some of the photos I took at the event at http://www.flickr.com/photos/rogercarr/sets/72157607168371806/. You can learn about true passion by observing Dr. Mani. You can't get any more passionate about something than he does. Dr.Mani Is a heart surgeon in India. But he's not your ordinary surgeon. Dr.Mani reserves his specials skills for families who can't afford to pay for the heart surgery required to save their child's life. Dr.Mani can't do it alone. He needs your help and mine. He has been very creative in using online methods to get others involved. His latest online event is no exception. The Heart Kids Tweet-a-thon is scheduled for September 12th. Dr.Mani will be posting on Twitter all day and night for 24 Hours to raise awareness about Congenital Heart Defects and to raise the needed funds to perform surgeries. We have the privilege of being able to help Dr.Mani save a child's life. Go to http://www.chdinfo.com/tweetathon.htm and learn how you can join me in supporting Dr.Mani and the families that desperately need our help. You will be glad you did.